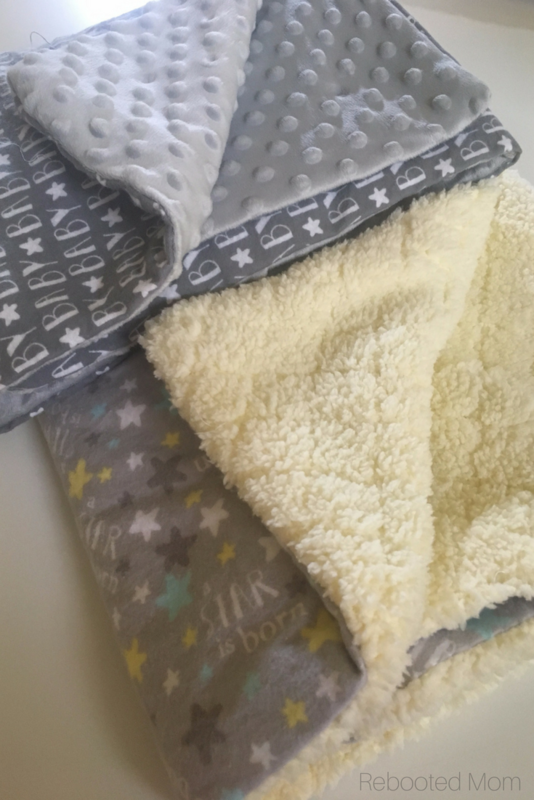 Homemade blankets make beautiful gifts for new babies, children and adults – learn how to sew a minky cuddle baby blanket in less than one hour! 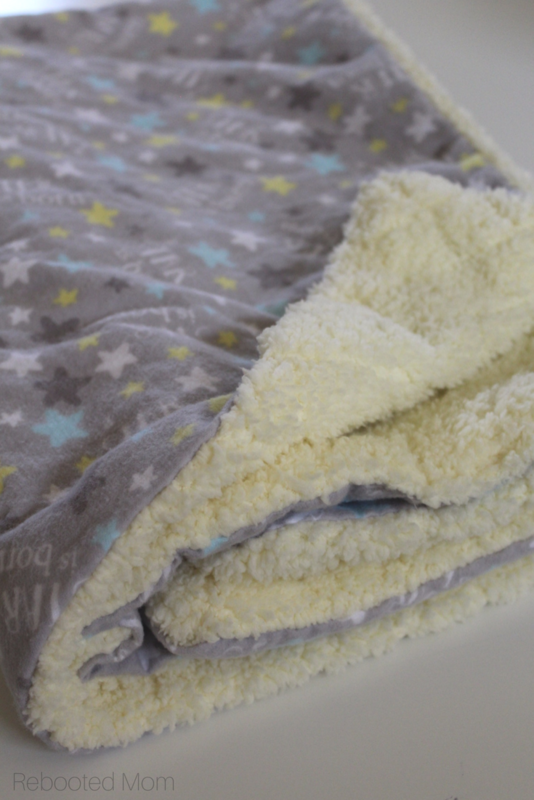 One of the most beautiful ways to welcome a new baby is with a homemade baby blanket – agree? I’m sure you do 🙂 This tutorial is going to show you how to sew a minky baby cuddle blanket – which is a wonderful gift for a new baby! We have friends that have given us baby blankets with all of our babies, which was wonderful. Although we are officially done after having baby 5, it doesn’t mean that I can’t get excited when others have babies. In the past, I have made quite a bit of adult size cuddle blankets for older teens and tweens – especially around the winter football season. 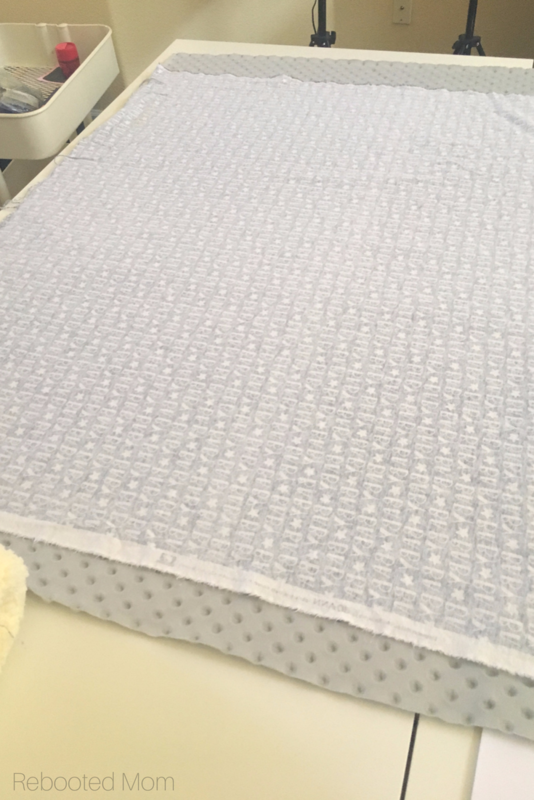 If you make your own baby blanket for friends or family, you have the option of using minky or cuddle fabric – both can be somewhat thick and very slippery. We made one with minky dot fabric and one with cuddle yellow fabric and yellow fuzz was everywhere. A baby blanket is super easy to make – while most people may assume it took you hours and hours. However, it’ll only take you an hour or less (provided you don’t have any interruptions). Crazy right?! If I’m making a baby/crib blanket, I usually pick up a half yard extra of the cotton flannel. It gives me enough room to trim down to size. Then I use any remaining for burp cloths or fabric baby blocks. Square up your fabric to make sure that the corners are perfectly square – you will need to snip the fabric with your scissors and tear the fabric on each side. Lay the minky or cuddle fabric on the floor (or your craft table), right side up. Then place the cotton on top, right side down to line up the edges. Trim the fabric as needed to make a perfect seam. Pin pin pin! 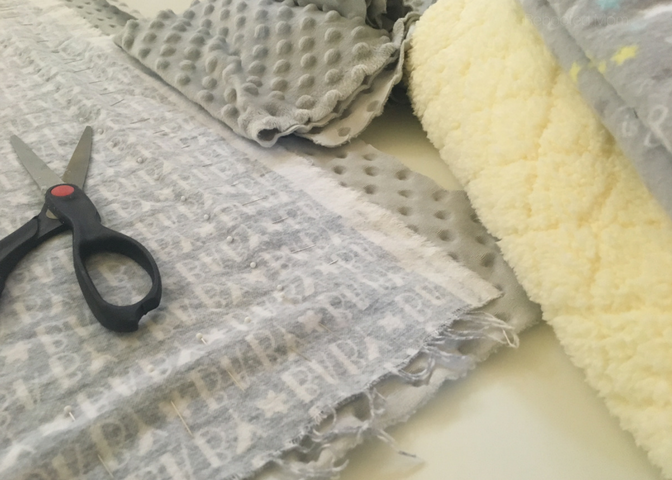 The key to sewing minky or cuddle fabric is pinning like crazy so it doesn’t move – so pin around the outside of the blanket, every 1 1/2 – 2 inches, leaving at least 1/2 inch on the edge for the seam. You may choose to sew a second time around the blanket as a reinforcement, making sure to skip the 6″ gap. If you do a second reinforcement, sew right on top of the first stitch. Pull your hand into the 6″ gap, and gently pull out the blanket, making sure to push out the corners with your finger. Now, the blanket should be right side out, with a 6″ gap on one side. Trim any little bits of string, and make sure all pins are removed. Finish by sewing the gap shut – using a 1/4 – 1/2″ seam allowance and a straight stitch. You may want to sew around the gap a second time as reinforcement, using the first straight stitch as a guide. That’s it! You have yourself a minky cuddle baby blanket. Your first may take you a little more than an hour – however, with practice you will get the next done in no time. I think the pinning takes longer than the actual sewing. However, you can always ask your older kids to help. It’s a great way to teach them basic sewing skills. 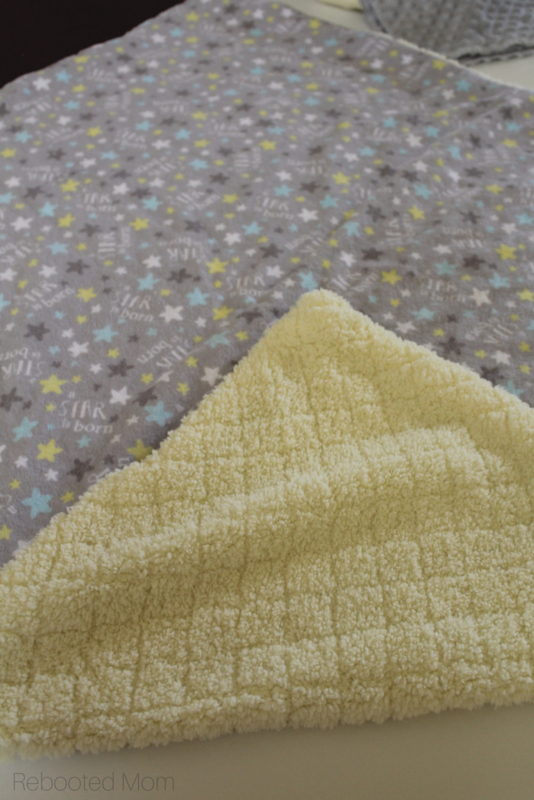 Have you ever made a minky cuddle baby blanket? What are your favorite prints to use? 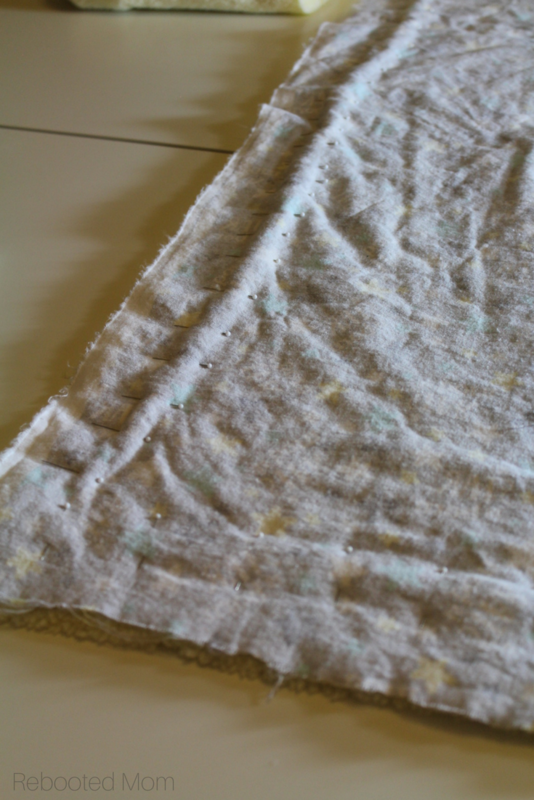 Share the post "How to Sew a Minky Cuddle Baby Blanket"